The presidential candidate of the Peoples Democratic Party, Alhaji Atiku Abubakar will on February 16 launch a mystery technology that hinders rigging during the election. This was disclosed by one of the spokesmen for the PDP Presidential Campaign Council, Osita Chidoka while speaking with newsmen at the PDP legacy house, Abuja. The mystery technology which is called Parallel Voting Tabulation (PVT) is a scientific tool that prevents rigging and assures the partisans of the credibility of the election result. 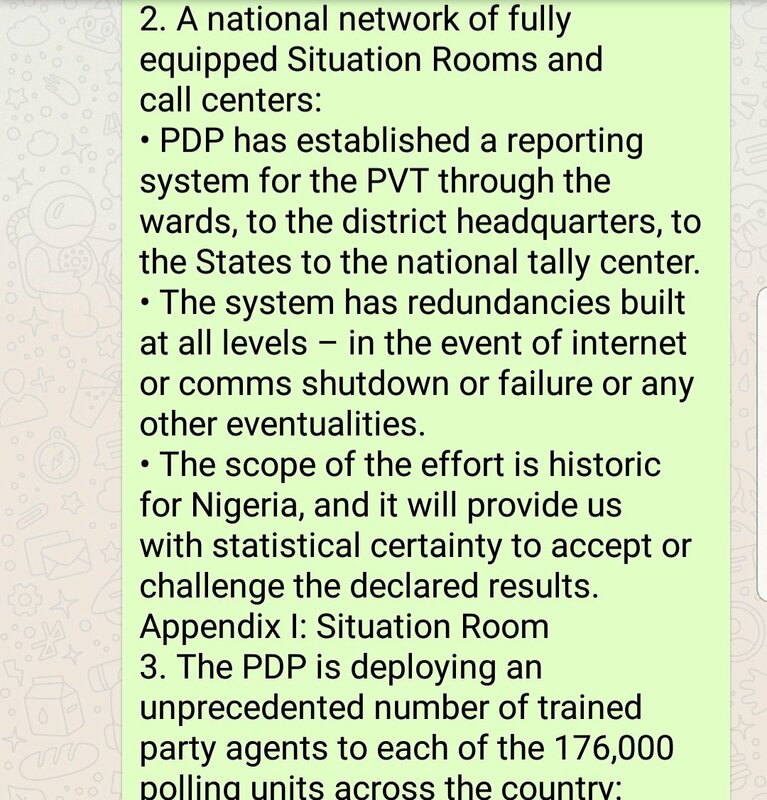 The PDP has said that the PVT has been set in its situation room to hold election authorities accountable when there is lack of trusts in the result released. The party has deployed unprecedented number of trained party agents to each of the 176,000 polling units across the country to monitor the election. Chidoka said: “The PVT is a tool that will assure that PDP partisans accept the result of the elections, and that the country remains peaceful and respectful of its differences. 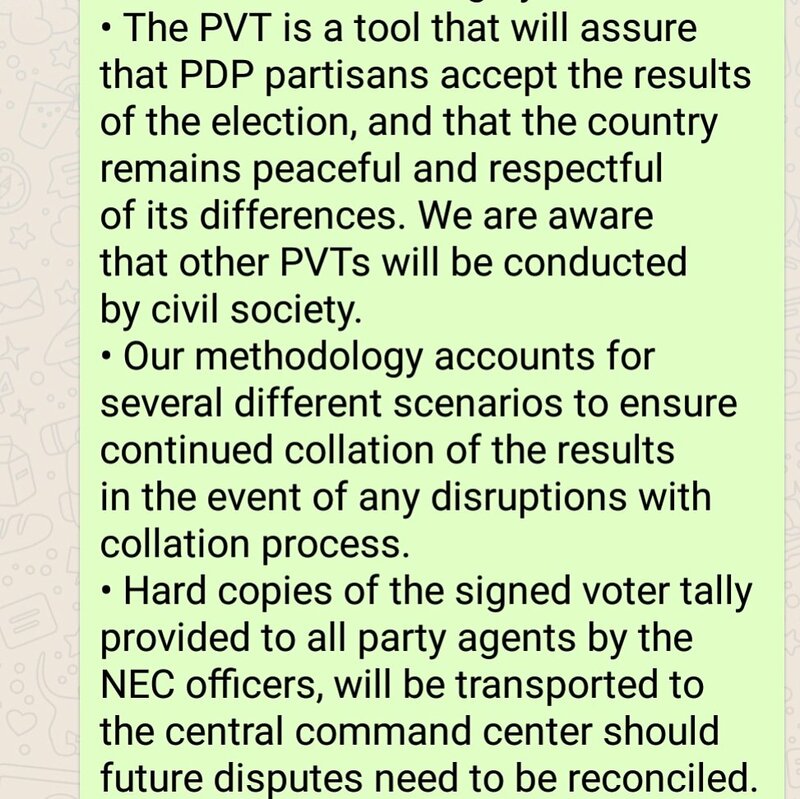 We are aware that other PVTs will be conducted by civil societies. “The scope of the effort is historic for Nigeria, and it will provide us with statistical certainty to accept or challenge the declared result. ” The PDP is deploying an unprecedented number of trained party agents to each of the 176,000 polling units across the country to monitor the election, he added.